We all have heard of a clothing item label with the expression, “one size fits all.” I am not sure that this always works in reality but it seems to help the sales of some things. Many in ministry have also taken the phrase “one size fits all” and tried to incorporate that into the church. Just follow this simple method or program and everyone will be fed spiritually and, by the way, attendance will quickly increase. Obviously, if it worked for one church it will work similarly in every church. In like manner, ministers try to emulate other ministers whom they believe have found the “Holy Grail” for ministry success, and tried the “one size fits all” method in their ministries. Usually this leads to failure and disillusionment among those ministers and the folks in their spiritual care. However, in Galatians 6, Paul is in stark juxtaposition to this modern downfall. Paul simply understands that God has placed a certain ministry upon him and on others like Peter. 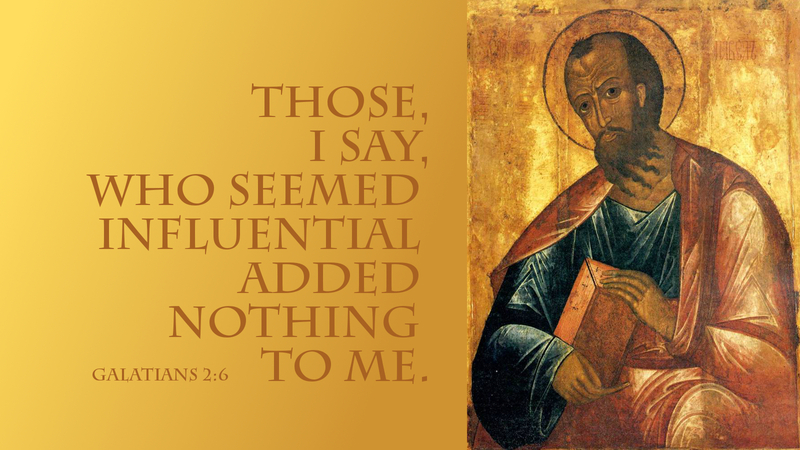 Paul wholeheartedly pours himself into his godly call and leaves Peter and others to their calls. Simply stated, he understood his limitations and expectations from God. We should also.